This entry was posted on May 8, 2014 by Rob Kohl. Two days of diving with Easy Diver Charters in Pensacola, FL. for up to 6 divers. Including one day diving on the U.S.S. Oriskany and another day of diving on surrounding wrecks. Each day of diving would include two escorted dives and any scuba gear needed for the dives. This package also includes 3-nights lodging in our 2700 square foot town home in Pensacola. Each day of diving will be escorted by my crew and I. To learn more or place a bid, visit the online auction for Jon Atwater now, or go directly to the Dive Package Page. 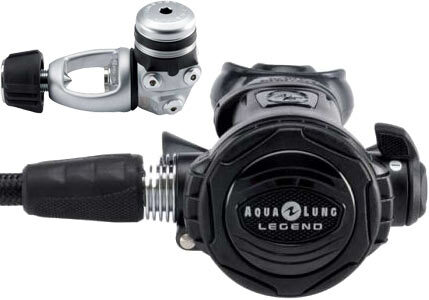 In addition, we've donated a brand new Aqua Lung Legend Regulator with a lifetime warranty and the Aqua Lung Parts for Life Program. All proceeds will go to Jon's physical rehabilitation. Please join me, join a whole team in support of those who inspire us all with their courage. Thank you.